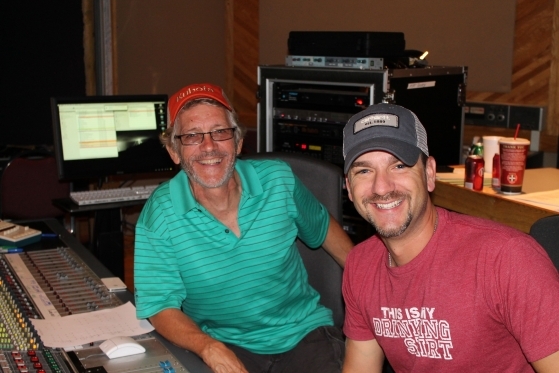 Bigger Picture artist Craig Campbell has been busy in the studio with producer Keith Stegall working on his sophomore album. A new single is slated for release later this summer with the album due in early 2013. • Sara Evans has signed with The Collective for management representation. The company’s local office opened in early 2012 and is headed by President Genevieve Jewell. Evans joins a Nashville roster that includes Tyler Bryant & the Shakedown, Megan & Liz and Elizabeth Huett. The Collective also works with Linkin Park, Alanis Morisette, Counting Crows, Jimmy Cliff, Godsmack, Slash, Avenged Sevenfold, Big Boi and Enrique Iglesias. 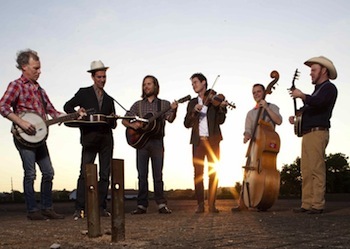 • Old Crow Medicine Show‘s fourth full-length studio album, Carry Me Back, debuted with 17k units sold, the band’s best ever sales week and its highest ever charting position. The album entered at No. 1 on both the Bluegrass and Folk charts, No. 4 on the Country chart and No. 22 overall. Carry Me Back was produced by Ted Hutt (Gaslight Anthem, Dropkick Murphys, Flogging Molly). Catch OCMS Sat., July 28 at The Woods at Fontanel in Nashville with BR5-49. • Congrats to Latocki Team Creative, which is celebrating its tenth anniversary under the LTC moniker and over 26 years in the Nashville music business. In May 2002, founder Virginia Team retired as owner of Team Design and sold the business to Luellyn Latocki Hensley. From there, Team Design became Latocki Team Creative, shifting its focus to identity creation, image alignment and brand management. In more good news, Hensley and her husband James are expecting their first child, a son, very soon. • MusicRow offers sincere condolences to the family of Ricki Dawn Uselton, including her aunt, radio promoter Jan Woods, and cousin Christina Bear. According to News Channel 5, Uselton, 22, died on July 24 after being struck by a car on Old Hickory Boulevard Monday night (7/23). She was a graduate of MTSU. Services will be today, July 26, from 5-8 p.m. at Williamson Memorial Funeral Home. The family requests memorial donations to Rocketown. • MusicRow offers sincere condolences to Debbie Zavitson of Zavitson Music Group on the passing of her father, Don Cox. Cox was a respected bandleader and the former owner of the Cowtown club in San Jose, Calif. He died July 23 after a battle with lymphoma. Visitation will be at the West Harpeth Funeral Home on Charlotte Ave. in Nashville tomorrow, July 27, at 1 p.m. with a memorial service following at 2 p.m. Reach Debbie at debbiezavitson@me.com. • Cirque du Soleil is seeking professional instrumentalists with stage experience and versatility. Auditions will be in Nashville in October. Details here.